Jutoh 2.84.0 – Create e-books in formats for sale on Kindle and iBooks. Jutoh makes it easy to create ebooks in popular formats that you can sell on many ebook sites, including Amazon’s Kindle and Apple’s iBooks. Select a book cover design from Jutoh’s templates, or create your own with the built-in cover designer. Jutoh lets you start creating your ebooks quickly, but has plenty of features and configuration for more advanced use, including support for contents, index and endnotes pages. Next story Studies 1.5.3 – Flashcards for serious students. Previous story WonderPen 1.5.2 – Writing app for both professional and amateur writers. 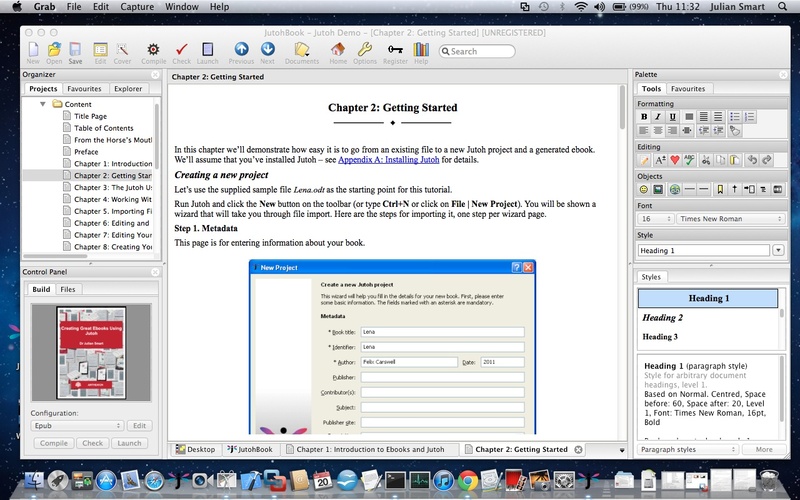 Jutoh 2.58 – Create e-books in formats for sale on Kindle and iBooks. Metadatics 1.5.1 – Powerful audio metadata editor. iPhoto Library Manager 4.2.5 – Manage multiple iPhoto libraries and find duplicate photos.